Looking for the Perfect Wedding or Party Favor? At Art of Oil we will happily design custom labels for your event. 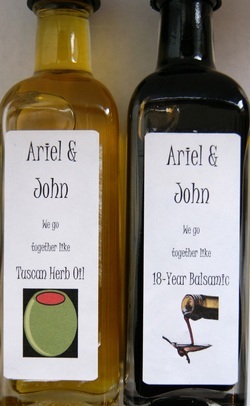 Using our "sample" size bottles, we can label both oil and vinegars from our entire product line. For information, give us a call at (828) 355-9313 or email theartofoil@gmail.com.